It sure is!. 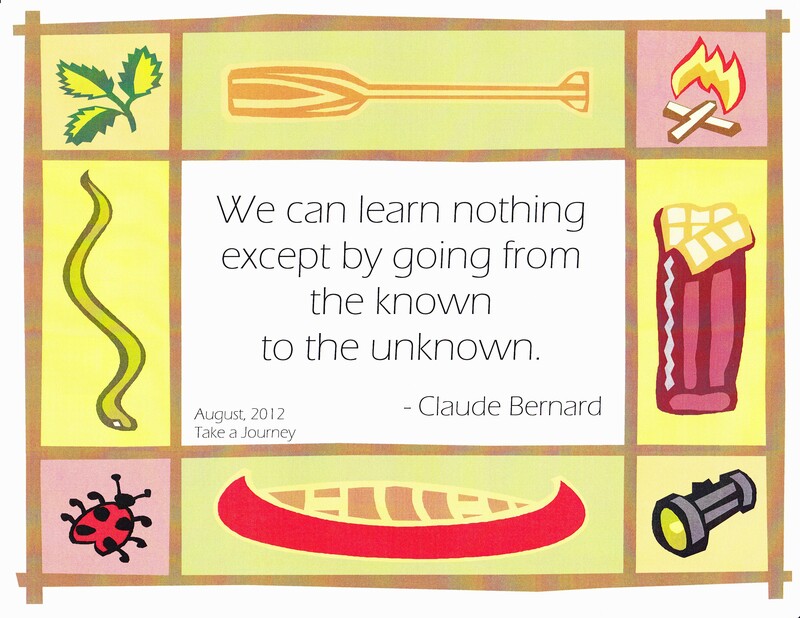 But it’s hard for me to take that first step into the unknown. LOL! I’m just the opposite. Really? I am a timid creature in a lot of ways, I think. Are you an adventurous person? Or is it about making changes and keeping things fresh in your life? I often wish I had a more adventurous spirit. That is pretty impressive! Or crazy. I like impressive, though! I might think about doing something like that, but I’m just not built that way. Partly it’s fear, but really, you would just come home and start over if it didn’t work out. So, the other part is that it’s just not in my nature to want to venture too far from home for too long. I like some of my little rut, just don’t want to dig it too very deep is all. Thanks for answering me, that is actually helpful to make me feel that it’s okay to be both ways – adventurous or not so adventurous. By the way, did you get to Alaska? So true, but a lot of people don’t learn anything even by going from the known to the unknown, unless it’s that the unknown can be scary and uncomfortable and that they’d be happier back in their little cocoons. Well, that has been true for me on occasion, that there were lessons there that I wasn’t capable of learning. Or maybe I just had my eyes shut. Thanks for bringing that up; there are so many different ways to see things. Looking at it from still another perspective, there are things we just shouldn’t attempt. And also, there are people who just aren’t built for adventure. Some people will live in their cocoons, very happily, all their lives. And there’s nothing wrong with that, either!